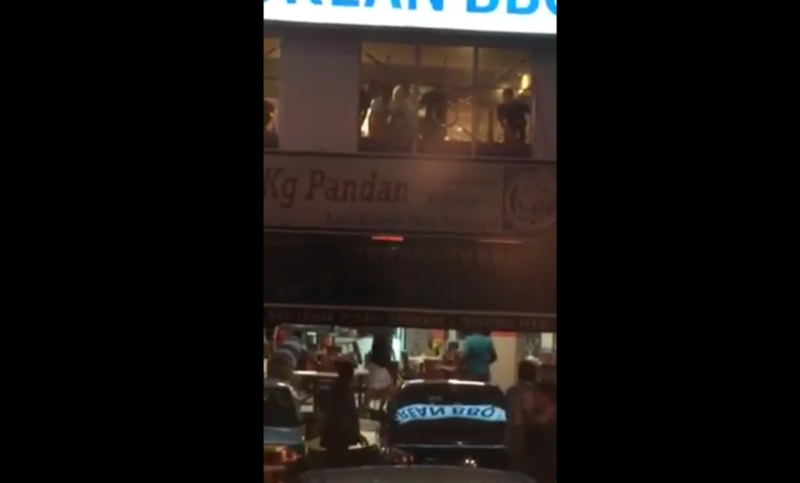 MALAYSIA – A group of gang members with chopper (Parang) knife were seem fighting and slashing 2 male in a Korean BBQ store. After one of the man successfully ran out, they chased after him and started slashing with the chopper. Editor’s note: We are unable to confirm the outcome of the victims whether the man was injured or alive.